Shop Neutrogena Rapid Wrinkle Repair Regenerating Cream (2 oz. )2 oz. $2799$27 and 99 cents$16.46 / oz. 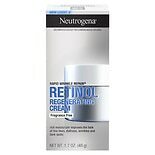 Shop Neutrogena Rapid Wrinkle Repair Face Cream (1.7 oz. )1.7 oz. Keep your skin looking smooth and soft with wrinkle repair creams. There are wrinkle creams that target specific areas such as your lips or the skin around your eyes, and those that are for broader use. Some wrinkle repair creams include SPF or other ingredients that work to prevent further damage. 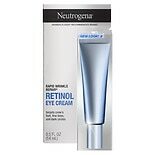 Choose an anti-wrinkle cream from brands such as Neutrogena to improve the appearance of your skin. 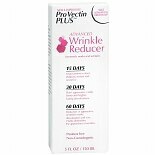 Some wrinkle repair creams are for daily use and promise results in a week. 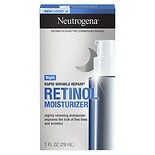 You can find anti-aging lotions that are for application at night, during the day or both. Certain wrinkle creams are for deep-set wrinkle repair and include ingredients that work with the moisture in your skin for a smoother appearance. Taking good care of your skin takes daily dedication. We carry a broad range of skin care products to help you cleanse, refresh, hydrate and protect your skin. Treat your face with care, choosing face cleansers, toners and moisturizers for your skin type. Acne treatments include cleansers, scrubs and spot treatments for clear skin. Find skin care for men and natural and organic skin care, as well as entire skin care systems. Protect your skin with sunblock in a range of SPFs for daily use.